To bring back smile in budget phone lovers life, Lava has launched two budget smartphone with powerful 3000mAh battery, the all new Lava Iris Fuel 10 and Lava Iris Fuel 25 priced at Rs. 6541 and Rs. 5666 respectively. It will take on Micromax, Intex, Xiaom, Motorola, Asus, Samsung, Xolo and Karbonn in budget phone market. The all new Lava Iris Fuel 10 supports Dual-SIM(GSM+WCDMA) offers you a bigger 4.5”-inch FWVGA display with resolution (480×854 pixels) pixel density of 217ppi runs on Android 4.4 kitkat OS( upgradable to Android 5.0 )and powered by the quad-core MediaTek processor clocked at 1.2GHz with 1GB RAM, 8GB internal memory expandable up to 32GB via microSD card slot allows you enjoy your dream multi-tasking experience. Lava Iris Fuel 10 packed with a 5-MP Auto Focus Camera with BSI+ Sensor and LED Real Flash , 4x zoom, full-HD video recording and 2 MP with Voice Controlled Selfie and Dedicated Selfie Key featuring Face Beauty, Active, HDR, Panorama ensure crystal clear photos for your favourite moments. 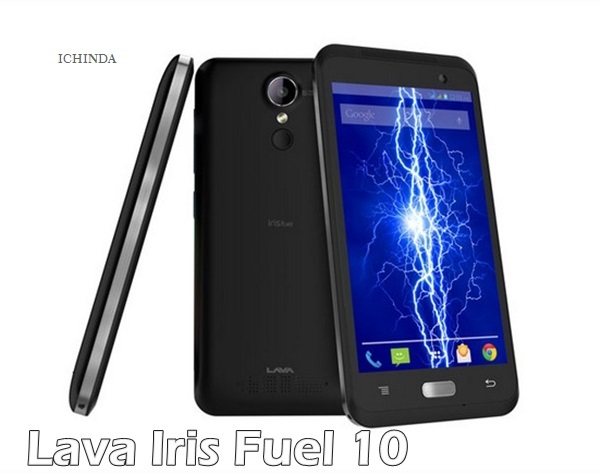 Lava Iris Fuel 10 will never let you down because it’s powered by a the most powerful 3000 battery which promising 17 days of standby or up to 16 hours of non-stop conversations measures 134.5mm X 66.5mm X 10.55mm and weight N/A offers connectivity through 3G, GPRS/ EDGE, Wi-Fi 802.11 b/g/n, Micro-USB, and Bluetooth. At last few honest word, the all new Lava Iris Fuel 10 is the best choice for budget phone lovers. What you think? Please be open to give your view.